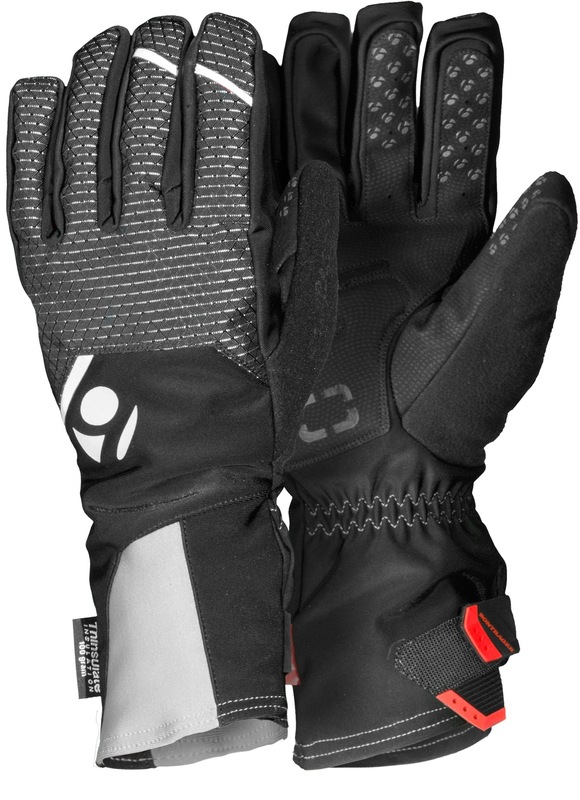 Cold, wetness and freezing temps are no excuse with waterproof cycling gloves that maintain hand dexterity. Profila Softshell fabric provides windproof and waterproof protection from cold and windy weather. Waterproof insert keeps your hands dry and comfortable. 100g 3M™ Thinsulate™ insulation for superior warmth and low-profile dexterity. Fleece lined. Silicone gripper on palm and fingers provide great grip. inForm Science of Comfort™ design reduces pressure on the ulnar nerve, helping to eliminate discomfort and hand numbness. Reflective elements enhance visibility for maximum safety.